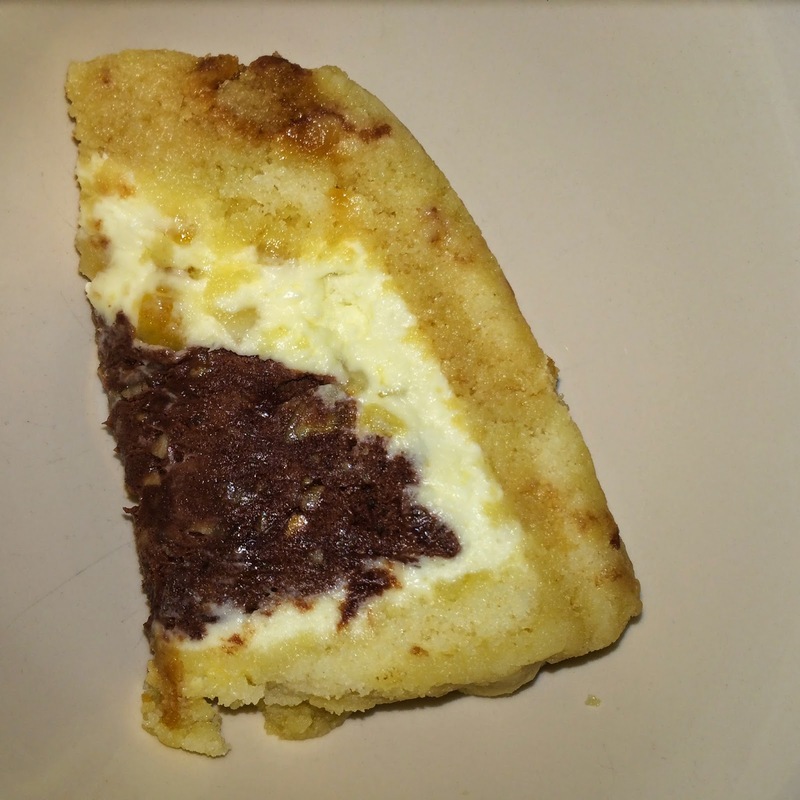 Mrs Bishop's Bakes and Banter: Zuccotto: Italian dessert recipe perfect for the weekend! Zuccotto: Italian dessert recipe perfect for the weekend! 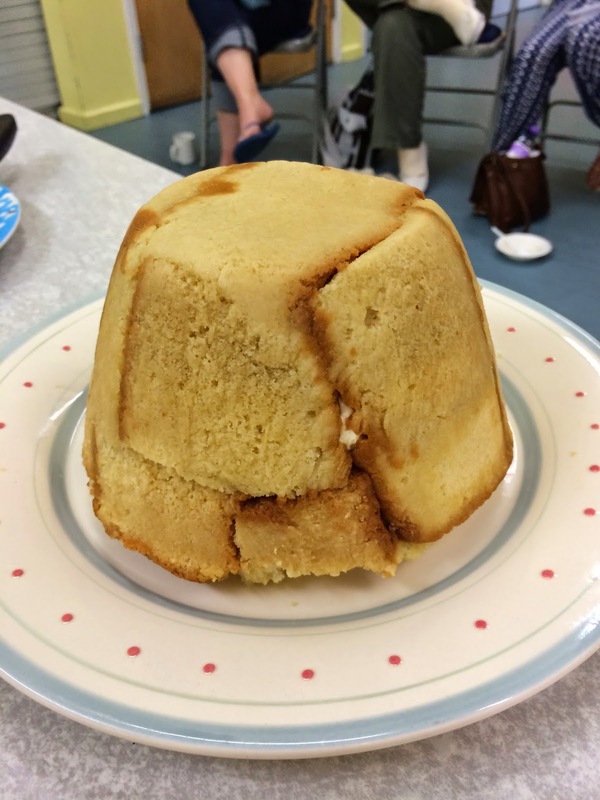 On Thursday I had a go at making a Zuccotto: it's an Italian cream based dessert encased in booze soaked Madeira sponge. 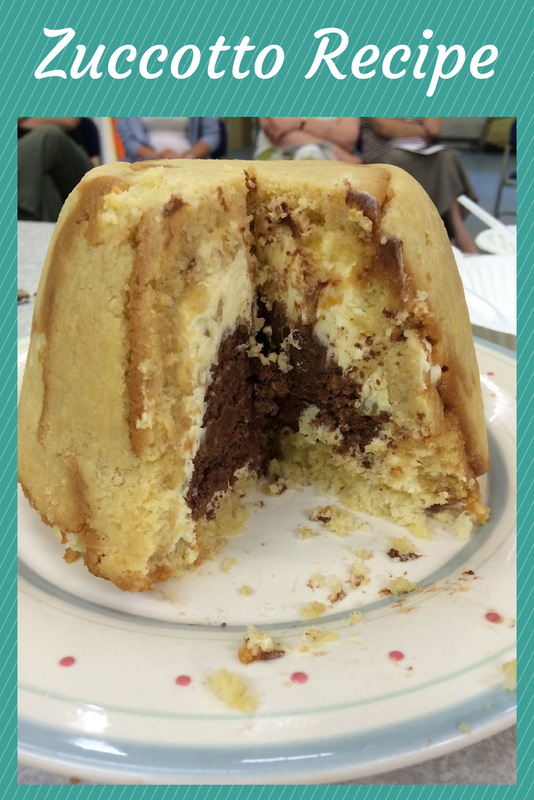 I'd been asked to demonstrate a classic Italian dessert at my Women's Institute group (The Scone Roses), and I wanted to challenge myself and make something I'd never tried before. Instead of opting for your traditional Tiramisu I looked into some other lesser known 'traditional' Italian desserts, and this one caught my eye. In true Blue Peter style I made one in advance for a "here's one I made earlier" moment, which the WI ladies all got to tuck into, and I made a second one on the night at the demonstration. I used Simon Rimmer's recipe here, and it worked really well. I did have a small amount of cream filling left over (I couldn't fit it into the 1.5 litre pudding basin) so I suggest you could use a slightly larger pudding basin if you have one. I substituted the cointreau for madeira in my Zuccotto as I had madeira in my drinks cabinet and didn't want to buy a whole bottle of orange liqueur for one recipe, but use whatever you have. The dessert was nice and easy to assemble, I found the process very therapeutic...dipping slices of Madeira sponge in booze and orange juice and using it to line the pudding basin was basically the hardest part (not hard at all!). After that it's all about whipping sweetened cream and flavouring it. I flavoured 1/3 of my cream with melted dark chocolate, chopped hazelnuts and almonds, and the other 2/3 with mixed peel. The final step is just a case of popping the cream mixtures into the sponge casing, and sealing with a last layer of soaked sponge to seal the pudding basin top (which will be the bottom of your dessert once its upturned). The dessert needs to sit in the fridge for 24 hours before serving, and then you can dust on some cocoa powder or icing sugar and drizzle on some more melted chocolate to fancy it up a little. The dessert went down very well with the ladies, and I loved it. My husband tried it too, and he said he'd prefer the sponge less boozy (you of course could skip the booze and just use extra orange juice to soak the sponge) especially if you're making it for children or adults that aren't a fan of the booze. Personally, I love a boozy dessert, so this was ideal for me. a scrumptious slice ready to devour! - Black Forest Zuccotto: use chocolate sponge dipped in kirsch and a red fruit juice, flavour 1/3 the cream with dark chocolate and tinned cherries, and add grated chocolate and kirsch to the final 2/3 of the cream. -White Chocolate and Raspberry Zuccotto: use a mixture of orange and raspberry juice to soak the sponge, use melted white chocolate instead of dark to flavour 1/3 cream with freeze dried raspberries instead of nuts. You could put a layer of fresh raspberries inside, and flavour the final 2/3 of cream with sugar and vanilla. What I will say about this dessert is it does work out at about £10 per dessert to make BUT it will serve at least 12 people a really decent slice (not the 8 that's stated in the recipe!) so it works out as a pretty reasonably priced dessert per serving when you look at it that way. The fact that you need to make this dessert 24 hours in advance and that it can be served straight from the fridge makes it a perfect dessert when you've got people over and you don't want to be stuck in the kitchen. It would be a great dessert for a summer BBQ. Why not have a go? You won't regret it. 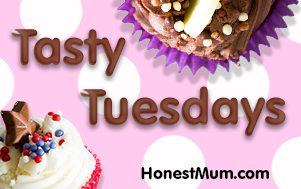 What variation would you go for, or would you stick to the traditional recipe? Less booze???? I don't think so! Looks delicious. I like the sound of white chocolate and raspberry!